Four years ago, audiences were invited to come along with male nurse Greg (a.k.a. Gaylord) Focker (BEN STILLER) on a weekend as he lost his luggage, set the backyard on fire, went a little over-the-top in a game of water volleyball, spray painted the cat and was administered a lie-detector test by Jack Byrnes (Robert De Niro) and Dina Byrnes, it looks like smooth sailing for him and his fiancée, Pam (Polo). But that's before Pam's parents meet Greg's parents, the Fockers. The hyper-relaxed Fockers and the tightly-wound Byrneses are woefully mismatched from the start, and no matter how hard Greg and Pam try, there is just no bringing their families together--which all adds up to a disastrously funny time of "getting to know you." 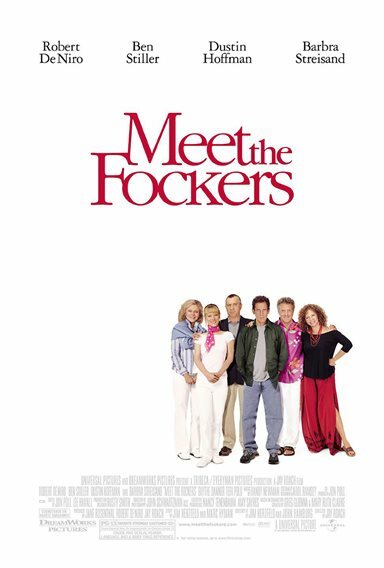 Download Meet The Fockers in Digital HD from the iTunes store. Meet The Fockers images are © Universal Pictures. All Rights Reserved.